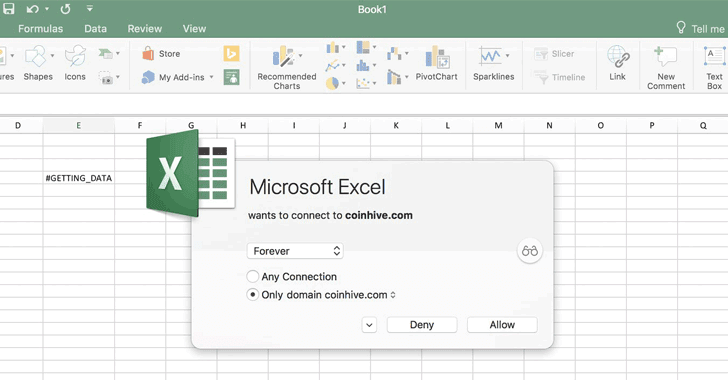 Security researcher Charles Dardaman leveraged this feature to show how easy it is to embed the infamous in-browser cryptocurrency mining script from CoinHive inside an MS Excel spreadsheet and run it in the background when opened. "In order to run Coinhive in Excel, I followed Microsoft’s official documentation and just added my own function," Dardaman said. Microsoft will soon roll this feature out to a broader audience.